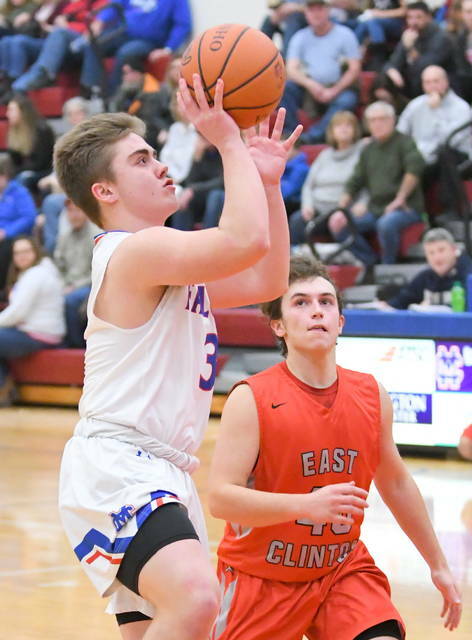 ADAMS TOWNSHIP – After a sluggish start, Clinton-Massie coasted to a 76-58 victory over cross-county rival East Clinton Monday. 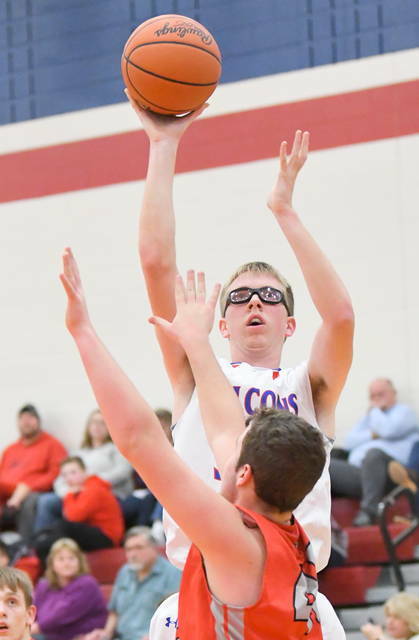 Massie (9-2) trailed most of the first quarter before tying the game at 11 and then scoring 20 of the next 23 points. 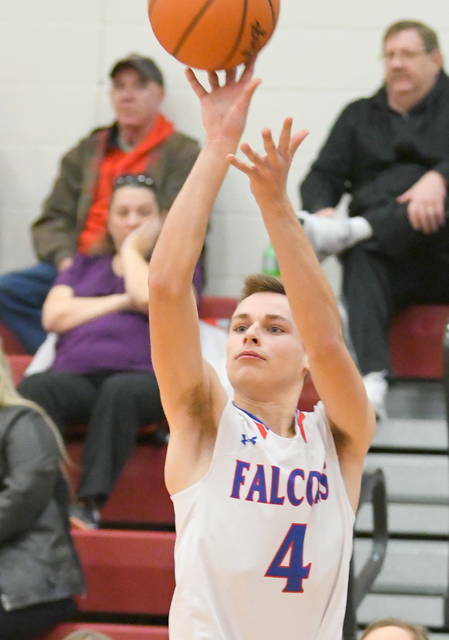 Brendan Lamb scored 13 of his 15 points in the run that helped the Falcons build a 31-14 lead midway through the second quarter. 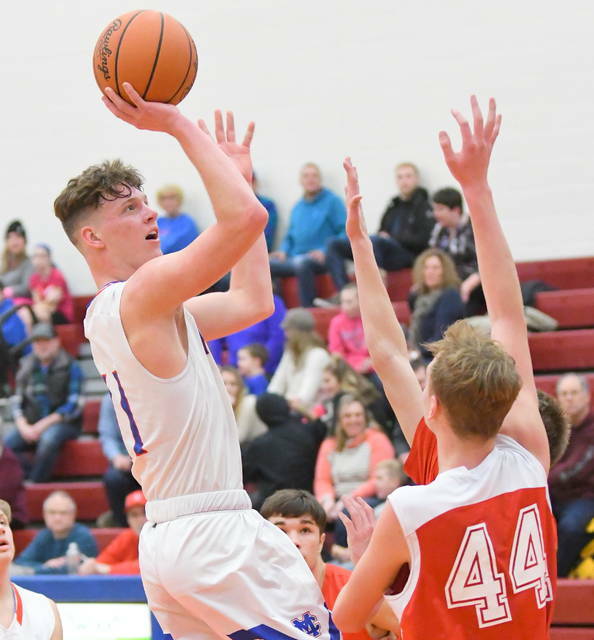 Thomas Myers scored 18 of his game-high 25 points in the middle two periods to help Massie extend its lead to 48-25, the largest of the game, early in the third quarter. 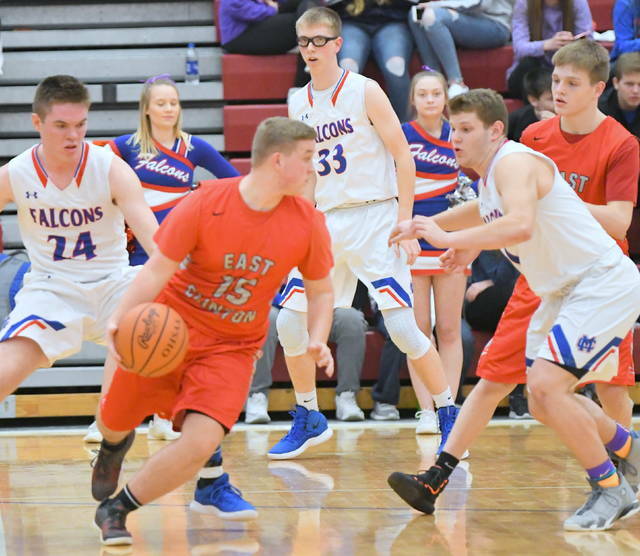 East Clinton got threes by Branson Smith and Dylan Peterman, a Smith layup and a Colton Vadnais free throw in the next five minutes to whittle CM’s advantage to 52-37. 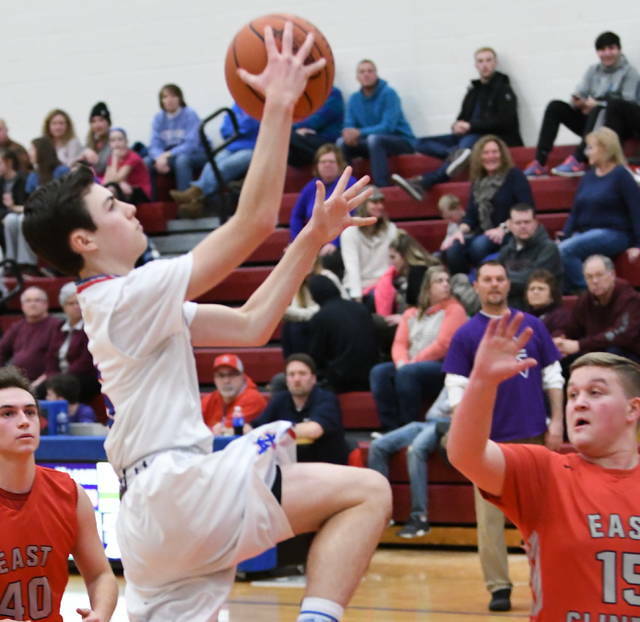 Smith led EC (0-11) with 23 points. The margin hovered between 15 and 19 most of the rest of the night. The closest EC got was 62-48 with 6:10 left in the game. 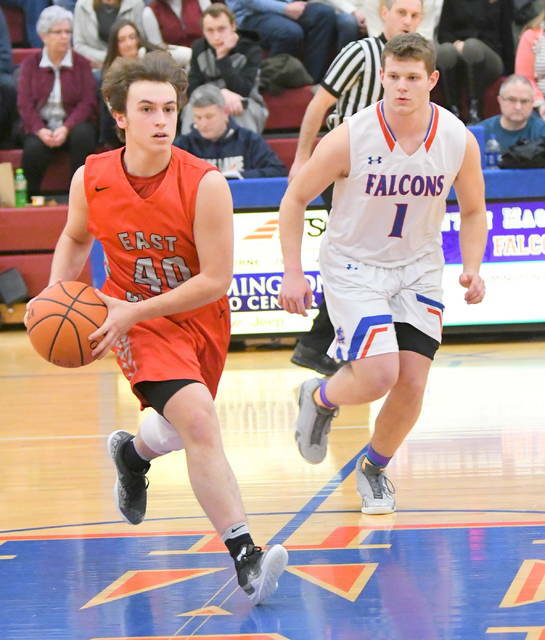 (58) EAST CLINTON (fg-ft-tp) B. Smith 10-1-23, Rolfe 1-0-3, J. Smith 0-0-0, Mitchell 1-5-8, Vadnais 4-2-10, Runyon 1-0-3, Tolle 0-0-0, Peterman 1-1-4, Swayne 3-1-7. Total 21-10-58. 3-point goals: 6 (B. Smith 2, Rolfe, Runyon, Peterman, Mitchell). FTM-FTA 10-14, 71 percent. 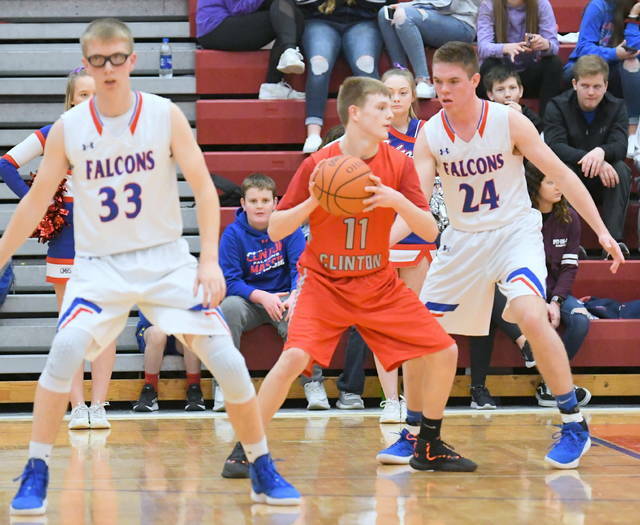 (76) CLINTON-MASSIE (fg-ft-tp) Wolfe 2-0-5, Lamb 6-2-15, Myers 10-5-25, Laake 1-4-6, Settlemyre 4-0-8, Chowning 2-0-6, Faucett 0-2-2, Olberding 1-1-3, Valentine 1-0-2, Baker 0-0-0, Voss, 2-0-4. Total 29-14-76. 3-point goals: 4 (Chowning 2, Lamb, Wolfe). FTM-FTA 14-16, 88 percent.